…is my two front teeth teeth! That’s the first thing that came to mind when I arrived to photograph the Nolan family for their annual Christmas shoot. 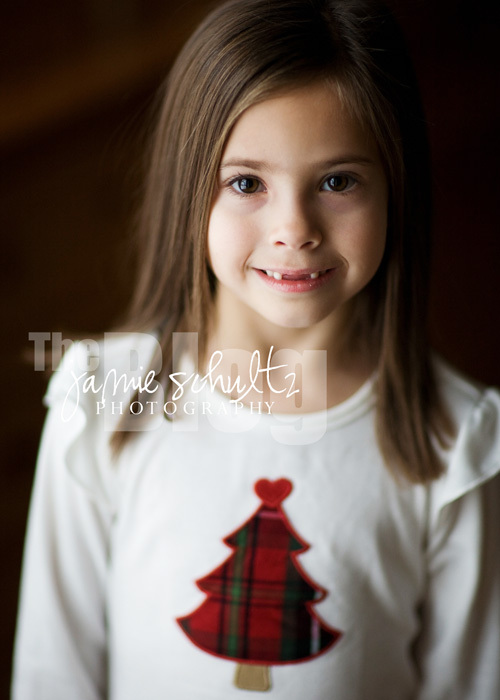 Their daughter just lost her second front tooth and she loved the idea of asking Santa to bring her two new ones! 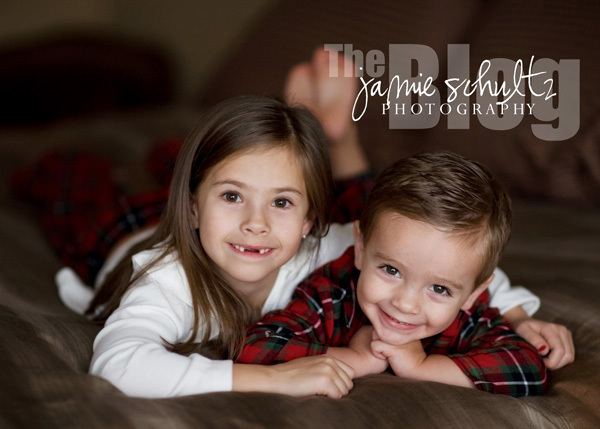 These kiddos are always such a treat to photograph and as you can see they aren’t camera shy in the least. Thank you again, Diana, for having me out to work with the kids! Have a great Christmas! 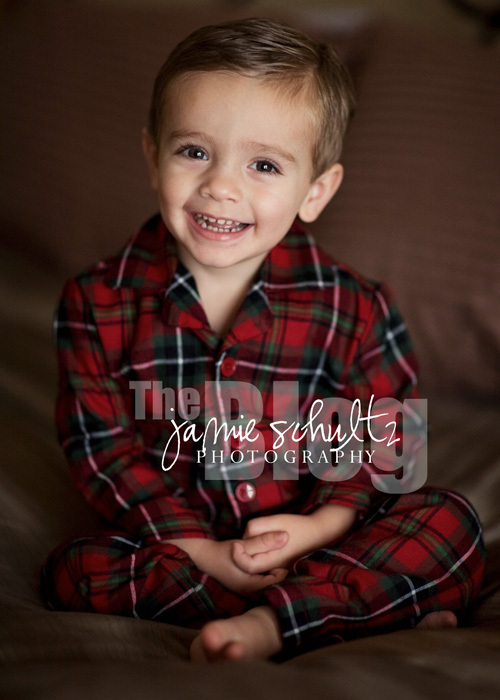 As the temps drop here in the Minneapolis area so do the number of senior sessions at Jamie Schultz Photography. We managed to squeeze in one last session with Chelsea, a Hudson High School senior, before the wave of ridiculously frigid temps moved in. It was still a bit cold but she managed to disguise it well! Chelsea has such a sweet and gentle spirit and wow, was she fun to photograph. Thanks again Chelsea, for choosing me to photograph your senior pictures! I had a blast working with you! Fall is by far my favorite time of year…especially here in Minnesota. The colors are always spectacular and make for a perfect backdrop for photos. I’ve been working with this family for the past 2 1/2 years and wow, has time flown. It’s been such a joy to watch their family grow and to get to know their children. As we were chatting about dates for this years’ holiday photos, we decided the sooner the better as Nick (dad) was going to be growing a mustache for charity. (I don’t blame you, Jess! Ha!!) This did not come as a surprise to me in the least as that is just the type of people they are…so generous and thoughtful. We met early one morning at a park near their home and I couldn’t have asked for a more beautiful day. Nick and Jess, thanks again and as always I love your Christmas cards. This one made me giggle…I guess we know how she feels about me. I’m wrapping up a few last minute things here at the studio today, but wanted to take a moment to wish everyone a very happy Thanksgiving. I hope you are all able to find time to kick back, relax and enjoy the day. When I came across this photo of one of my adorable nephews I thought it was a fitting image for today’s blog entry. Happy Turkey (or Tofurkey) Day! It’s hard to believe yet another year has passed since I last worked with this adorable family. Every year mama Adrienne makes me so happy when she unveils “the outfits” she has carefully selected for the shoot. I do my best to return the favor by surprising her with a new and different location. We are like kids in a candy store each and every year…such fun! This year was no exception and the two little men had no qualms about being in front of the camera. Laurel, a 2010 high school senior, and I are certainly no strangers! I’ve been working with her family for the past three years and on average I’m at their home 3-4 times a year. When you are with a family as much as I have been with hers you tend to establish some pretty strong bonds. Laurel and I have been planning her senior pictures for the past couple of years and it’s hard to believe it’s come and gone. I can only hope she had as much fun as I did during the session! Laurel, I wish you the very best as you finish your senior year of high school. Come back and visit when you are home from college! When Jill called to book this years’ photo session she explained that her family had grown since we last saw each other! They welcomed healthy and beautiful baby boy into the family just a few weeks ago…just in time for our annual photo session. I was excited to see them again and meet their newest addition. Thanks again, Jill, for coming out for your session. As usual, your kids were an absolute delight to work with. Here are a few images from my recent session with Courtney, another beautiful 2010 high school senior! Our original session was rained out but we couldn’t have asked for a better day on our second attempt. This girl had so much personality which made shooting her a breeze. Thanks again, Courtney, for choosing me to photograph your senior pictures. I had a blast working with you and your mom! Little Miss Evie might go down in my books as one of the happiest and smiliest (o.k…so that isn’t a real word, but you get the idea) girls I’ve ever met. She smiled from the very first frame all the way through to the last frame with a few giggles inbetween. So fun!! Thanks again to Evie’s family for traveling out for your portrait session. I hope you are settling into your new home and enjoying the great state of Minnesota.